I am writing up this review on the G rig itself! Applications never loaded faster than this, simply perfect. This chip is well worth the $245! Out of the box it can do 933Mhz (133 FSB)! I thought my 550e was incredibly easy to overclock, this chip is almost in the same ranks although it doesn't hit the 150 FSB mark. 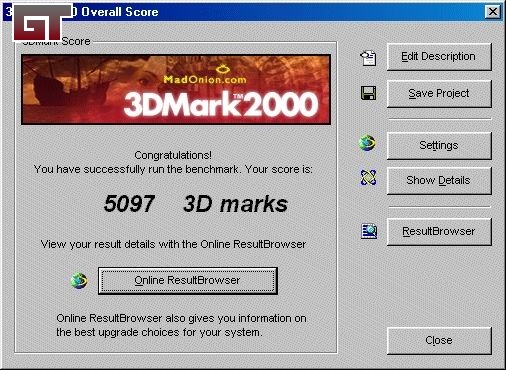 Now one of the interesting things I came across this oc journey was that on my Asus board, my 550e@825 3DMark2k score beat out this 700e@1001mhz that is on the Abit BE6.2 board! In a nutshell, if you plan on upgrading your cpu please consider the CB0 stepping Cumines in the cpu war. It provides the best bang for the buck in my opinion! Hits 933 at default voltage! Finding a CB0 stepping chip, may cost you more. High requirements for your components, make sure your pci and agp can take the high bus speeds.